How I Get Free Items as a Blogger: Influenster, What is it? 1. Easy to sign up and manage. 2. A trusted place to learn about new products before you purchase them. 3. The opportunity to try new brands and products for FREE! If those three things are not awesome enough you can also create wishlists for new products you want to try, write and read reviews, redeem coupons, and even win prizes! 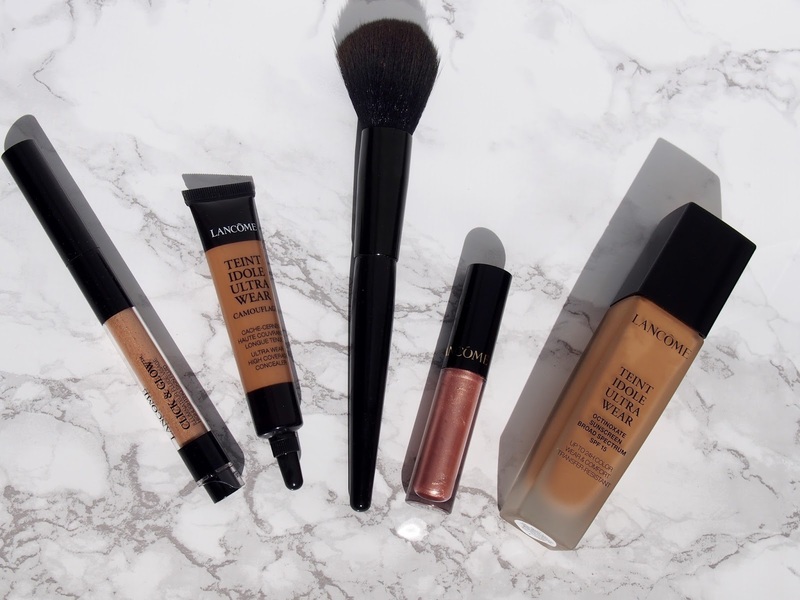 So far I have been able to try products from Origins, Lancome (even came with a full sized foundation), Sinful Colours, and Maybelline. The products come in what is called a Voxbox. The steps to receiving a Voxbox are pretty simple, but there are some few things that are important to consider. After signing up for Influenster you should write some reviews and fill out the snap requests that will pop up on your dashboard. While you are signing up for Influenster you will be guided to filling out your interests. Please make sure that you are filling these interests out honestly as they help Influenster figure out what items you would like to see in your box the most. They really want the influencers they work with to love the products they are getting, which is why they go above and beyond to get to know what you like. That leads me to my next point: snaps. What are snaps? They are literally little quizzes where you pick products and brands that you have used in order to write a quick review on them. 1. Sign up for Influenster. 2. Fill out your interests and snaps. In case you have any more questions Influenster actually has a detailed post you guys can reference here if you are still nervous about trying out the program! 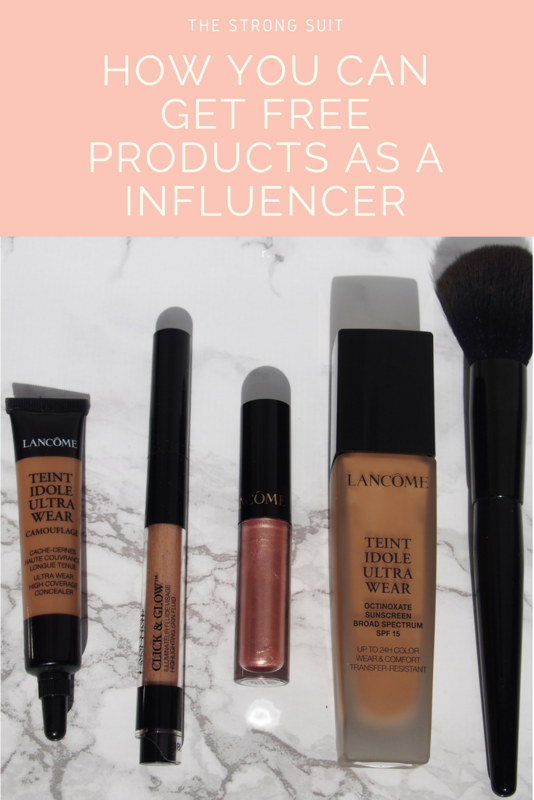 I honestly love Influenster so much, this post was not sponsored in any way and these are all my own opinions! 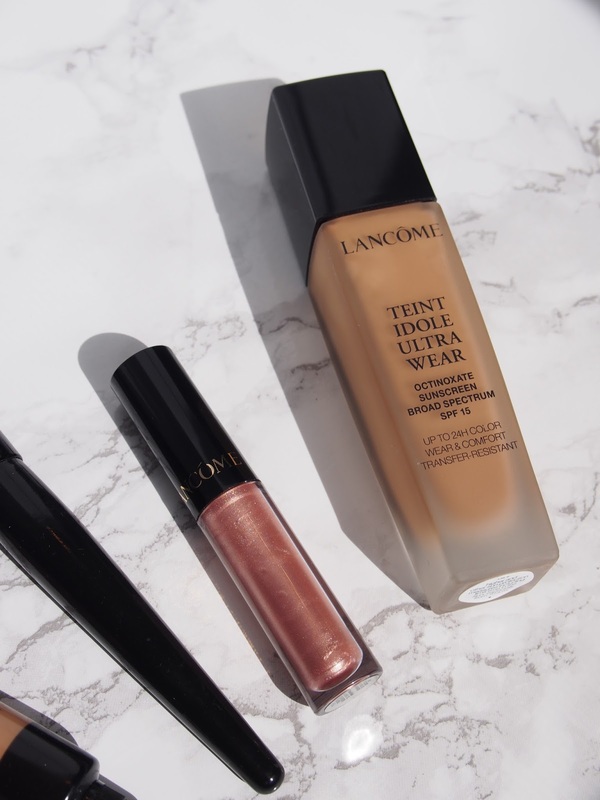 My favorite Voxbox was the Lancome one I received earlier this year. I was actually able to get a full sized Teint Idole foundation, a highlighter, concealer, and lipgloss. So that is what Influenster has in store for influencers who are willing to try and share new products! I hope this was able to help you guys in some way and get you started in collaborating! If you have tried Influenster and can attest to my experiences make sure you comment down below! If you end up trying Influenster let me know how you like it! This Wednesday (it is here!) I will be unboxing my most recently received Voxbox! The Splash Voxbox! Make sure that you subscribe to The Strong Suit's youtube channel so you won't miss out! I definitely want to try this! Thanks for sharing! Of course! You definitely should I think you would love it. It helps with coming up with content. never heard of it but I'm definitely interested. I love Influenster! You are right; it is so easy and really fun to be a part of! It is definitely amazing! An easy way to try out new products!